With Star Wars: The Force Awakens coming out in cinemas shortly we couldn’t help but get inspired by the new BB-8 droid character to make a fun short film. With a major part of the film production shooting just up the road in neighbouring Pinewood Studios it seemed apt that BB-8 take some well deserved time off to explore London and then why not pop into ILM’s central London studio seeing as they are producing the visual effects for the film! Shot in 1 day but animated over the course of 1 month by myself and Emma Wilson, it was a labour of love that has us even more excited to watch the real film in the coming weeks. Make sure you also check out our Facebook page for some exclusive making of images and storyboard. As an added bonus to the film, we have uploaded the model and textures we created for the short available for free below. All we ask in return is that you help spread the word by sharing this page. This model is for non-commercial use only and is not for redistribution or upload anywhere else. If you put it to use, we’d appreciate it if you would drop us a comment, tweet or email to show us your handy work and please credit: BB-8 Model by getwrightonit.com. To maximise compatibility and reduce the download size the model is a single OBJ file with no normals information, so simply smooth all the normals and hit separate to split the components. 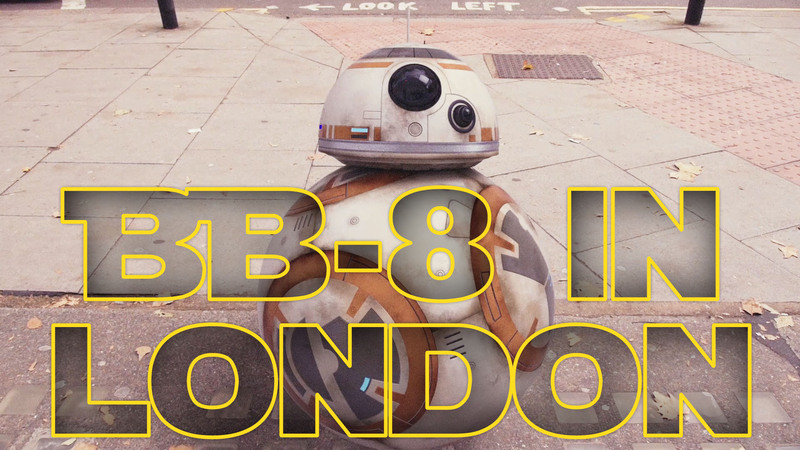 Thanks very much for checking out BB-8 in London and if you want to see how we did it, you can view the making of here. If you liked this, you might also enjoy my previous short film with Mario in Tokyo! BB-8 and Star Wars are property of Lucasfilm Ltd. LLC, a subsidiary of The Walt Disney Company, so don’t forget to check out the official Star Wars: The Force Awakens page! The soundtrack is available on itunes.